Why did Shell walk away from Alaska? 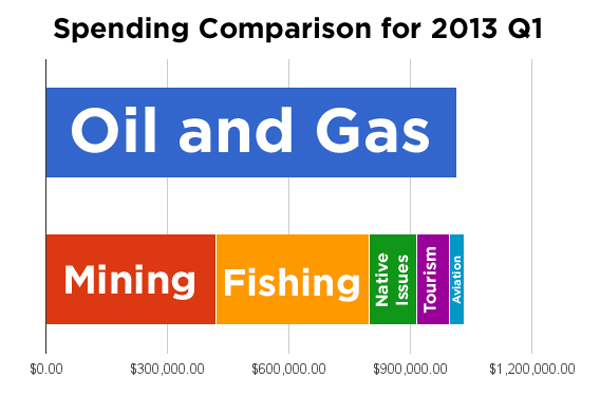 How Much Are Companies Spending Lobbying Juneau? President of Energy Policy Research Foundation, Lou Pugliaresi was recorded speaking on “The Coming Renaissance in North American Oil and Gas” at the Alaska World Affairs Council on April 20, 2012. An oil tanker docked in icy waters at Nikiski had what investigators are calling a "near miss" when it was accidentally set adrift while loading oil from the Tesoro tank farm. KBBI's Aaron Selbig reports on the January incident, which came to light last week following the release of an internal Tesoro investigation. Larry Persily's talk entitled “Alaska’s Natural Gas: Does Any Country Need It?” was recorded at the Alaska World Affairs Council in Anchorage on January 20, 2012.